The Crocodile Dundee saga has a rather tragic epilogue, and it’s wholly unrelated to the box office receipts of the third movie. While mentioning the character immediately brings to mind Paul Hogan, the actor who portrayed the fictional character on screen, few realize that the outback-enduring, walkabout-taking, chazwazza-taming 80s hero had a real-life inspiration: Rodney Ansell. As Wikipedia explains, he survived a trip up the FItzmaurice River in 1977 and subsequent two-month trek through the rugged Northern Territory terrain after his fishing boat sunk near the mouth of the Victoria River. Once he returned to civilization, Ansell became a national hero. 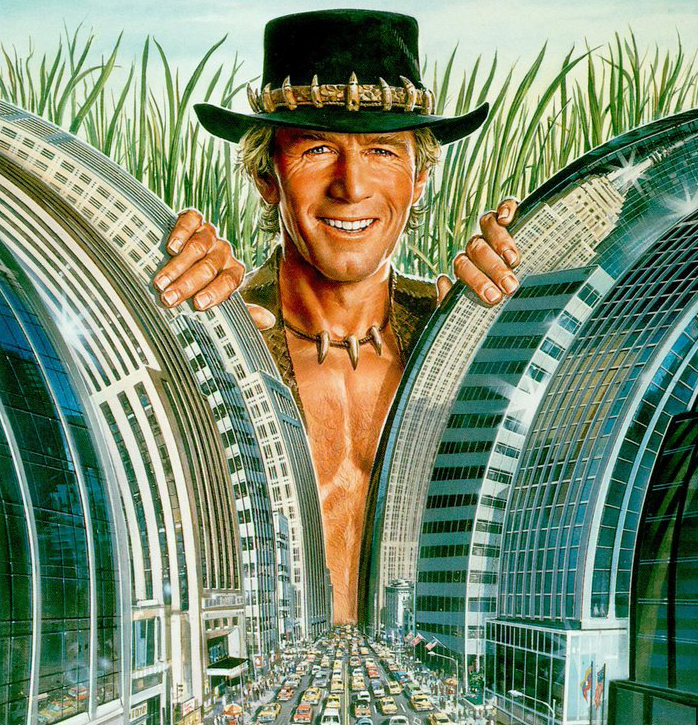 Media attention surrounding his ordeal inspired Hogan and writers to compose the script for the 1986 movie Crocodile Dundee. But while Dundee ended up marrying citified New York reporter Sue Charlton and Hogan ended up marrying the actress who portrayed her, Linda Kozlowski, Ansell fell on far rougher times, ultimately “attacking” a home near Darwin (whatever that means) and ambushing the responding officers. He killed one, but the slain officer’s partner fatally shot Answell. And that’s what became of the man who, kinda-sorta in a movie, taught America to laugh at how confusing bidets are.